According to some eye witnesses This unexpected natural occurrence happened over night on Wednesday Dec. 11th. 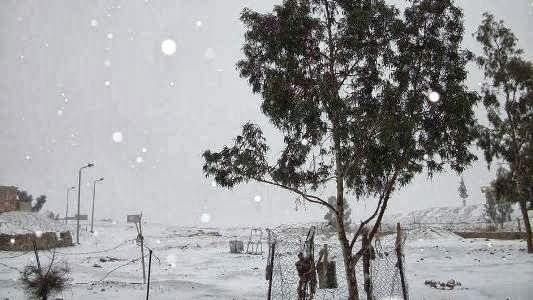 An official of Egypt's Meteorological centre said it was first time in decades since the last snowfalls and it took residents of Cairo suburbs by surprise. The snowfall has been reported that it has forced the closure of the country's ports and several other businesses for a days now.